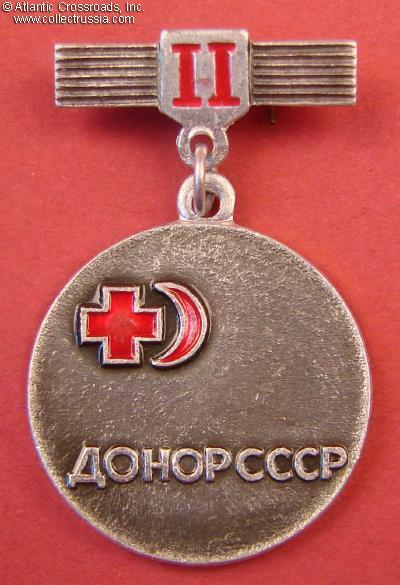 Blood Donor, 2nd cl, 1960s-70s. Blood Donor, 2nd cl, 1960s-70s. / Borisov, fig. 114/. 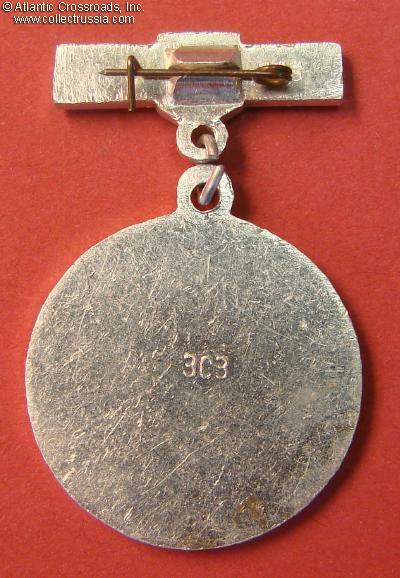 In aluminum and paint; small silver-colored medal, shows red cross and crescent emblem and Roman numeral "II" on suspension device. Excellent condition.